WhatsApp confirmed a mobile payment service last year. The beta is live in India this week. WhatsApp connects to your bank. It then sends money to other users. The service may show up in other countries over the coming months or years. However, it looks like India has the exclusive first beta. Hit the link for more details! Snapchat might be fun during the Winter Olympics this year. The service teamed up with NBC. It’ll broadcast big moments from the Winter Olympics directly to the app. NBC is producing two Snapchat-exclusive shows for the event as well. Snapchat isn’t the usual spot for stuff like this. However, it could be a decent way to catch the biggest highlights. NBC’s shows won’t have advertising and that’s a plus. New emoji are right around the corner. A list surfaced with 161 emoji on it. The list includes hot and cold faces, pleading, partying, woozy, bald, superheroes, and many more. Most of the people ones also come in multiple skin tones. Number 161 on the list is a pirate flag. Hit the link to learn more! Spotify may lose its crown as king of the streaming services this year in the US. Apple Music is apparently growing at an exceptional rate right now. It boasted 36 million subscribers recently with a 5% increase every month. There is every chance that Apple Music slows down. However, there is a real chance that they dethrone Spotify before the end of the year. The latest Humble Bundle is out! It’s actually a pretty good one this time around. Some of the game selections include Mushroom 11, Another Lost Phone: Laura’s Story, Oxenfree, Splitter Critters, and Death Road to Canada. You get three games for $1, six games for the average, and then every game for $5. A few of these games cost $5 on their own. For even more information, check out this week’s newsletter by clicking here! You can subscribe to the newsletter with form below as well if you want to! Dandara is a new action shooter game with puzzle elements. It refers to itself as metroidvania with similar elements as the old Metroid games. Some of the features include hardware controller support, tons of places to explore, puzzles to solve, and a decent progression system. It's all wrapped up in retro graphics. The game is also fairly expensive at $14.99 but at least there are no in-app purchases. It might be fun for platformer and Metroid fans. Thrive is an app for smartphone addicts. It has a variety of features that help you get away from your smartphone for a little while. For instance, it auto-texts people letting them know that you're busy. It also silences notifications, app locking, and VIP lists for those who always have access. The app can, for instance, shut you out of Facebook after you spend enough time there. It's something a little bit different. The app is by a company founded by Ariana Huffington. However, tons of famous people make apps so that doesn't really matter. This one is actually pretty good, though. The X-Files: Deep State had a bit of hype before its release. It's a mobile game revolving around the popular series about paranormal stuff. The game includes puzzles, mysteries, and hidden-object mechanics. It also feature story lines and characters from the X-Files universe. There are a few bugs here and there. Those should get fixes in the relatively near future. Other than that and the absurd freemium elements (up to $349), there isn't much to complain about. WhatsApp Business is a new messenger app from WhatsApp. Many of its features remain between it and the regular WhatsApp. However, this one also includes a business profile, business-oriented messenger tools, fixed number support, and more. It has potential to be a very powerful tool. However, there are a few issues that need work first. We might not recommend it right away. It's one to keep your eye on, though. 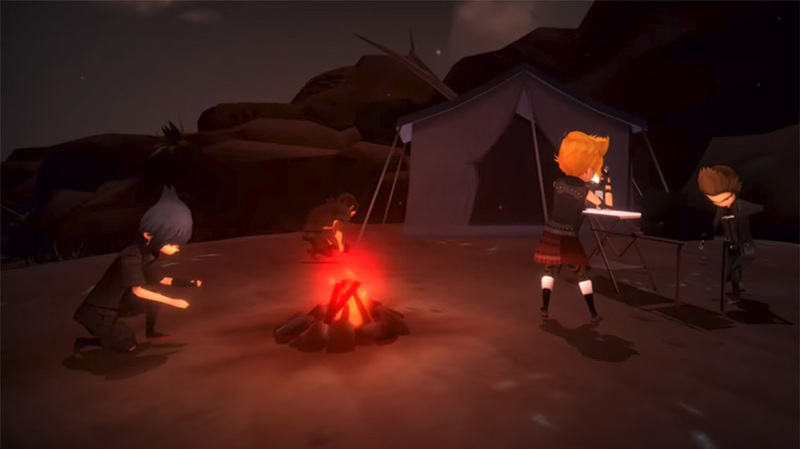 Final Fantasy XV: Pocket Edition hasn't been out a week yet, but it's already one of the biggest mobile game releases ever. It features the entire story (and many of the side quests) of the console Final Fantasy XV game. Square Enix lowered the graphics and adjusted the mechanics for smartphone play. It's quite a bit more restrictive than the console game. Of course, the chibi graphics don't look as good as the console game either. However, the voice overs are intact as well as the various stories and quests within the game. This is easily a candidate for game of the year and one of the best RPGs ever on mobile. The first chapter is free. The rest of the game costs $19.99. Thank you for reading! Here are some related app/game lists! If we missed any big Android apps or games news, updates, or releases, tell us about them in the comments below! Check back next week for more!